Why this course “Tableau Associate”? Tableau is a data visualisation tool used to depict all the data analytics results in a pictorial way. Hence, it is considered as a most convenient way for an easy understanding of complex information. “Tableau Associate” is a best certification program to learn about this Tableau concepts without taking a break from your work. When you hold this Tableau associate certification, you are distinguished as an expert in that domain. In addition, you also get noticed by your internal managers or your potential employers. Your resume with this Tableau associate certification show case your interest and domain expertise. Infact, this acts as a professional boost and open doors to new opportunities. Take up this DataMites's Tableau associate training program and be confident to take up specialisation projects to prove your self to the higher management. Who should choose this “Tableau Associate” course? Best suited for Fresh Graduates and Professionals looking to move into analytics domain, Data Scientists, Business Intelligence Professionals, Software Professionals, Statisticians , Business Analysts, Project Managers and Data Visual Analysts Functional Experts. We offer assignments, case studies and practical workshops which can help you to apply the concepts in practical situations at ease. Will I be awarded with a certification after completion of this course? Yes, after completing the course you would be a specialist in Text mining and will be awarded with industry recognised certification. Will I get more job opportunities after this Text Mining certification? Our certification is a globally recognised one and would add huge value to your resume. So, you can definitely expect more job opportunities after this certification. Yes, DataMites warmly welcomes all the candidates to take up their demo sessions so that they can upgrade to our course conveniently. 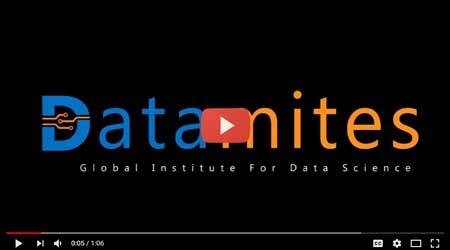 What types of courses are offered by DataMites? DataMites offers all industry specialised premium certification courses in Business analytics. I want DataMites to conduct training at my company, whom should I contact for this? We have offered many successful corporate training sessions. To enrol our training for your company, kindly contact our support team at (email address) to get a detailed agenda of our organisation training. Will I get receipt or confirmation for the course payment that I have made? Yes, the receipt is immediately issued through email.